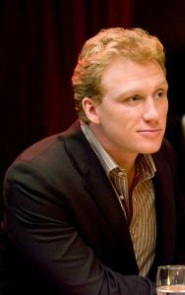 Lucien Belisle -(age 32) Beauxbaton professor of dueling and runes and alchemy and music/art magic (Kevin Mckidd as in Made of Honor). Snowy-white hair, gray eyes, muscled but not overly so. Auguste Dubois -(age 38) French lord and politician (Ian Somerholden). 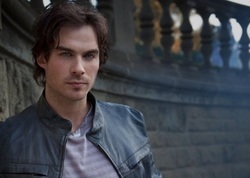 Aristocratic features, lean build, dark, short, wavy hair, blue eyes. Jules Ramsden -(age 36) Head Commander of the International Combatant Sorcerors (Dolph Lungdren as Ivan Drago). Short, messy spiked blond hair, and blue eyes. *Hermione approached her Aunt Adelle into coercing Harry into the Dollhouse. *Harry enters Freemont College and introduces herself as Caroline Farrell. *Enters into a relationship with Leo. 2000 –Breaks into Rossum lab with boyfriend Leo. *Flees and goes on the run. 2002 –Adelle catches up to Harry and convinces her to join the Dollhouse. *(three months later) the series start. 2006 current year. Percy 14.